Moto Rider is best super bike racing game for Android phone. It is free to install on your phone. The gameplay of this game is very simple. You need to control the bike using tilting of your device. 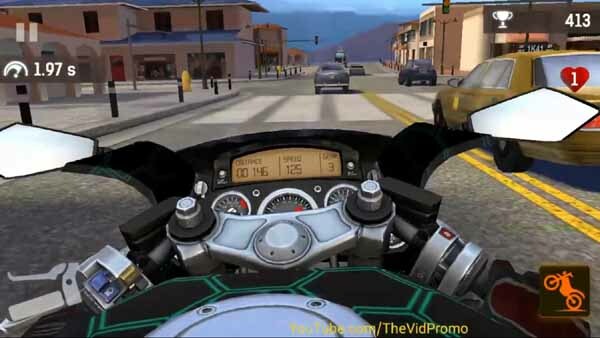 Moto Rider game provide you one super bike at start. Then you can buy with coins more bikes. During the race, you can use brake to slow down the speed that is at bottom left of your screen. The more features are available to purchase with real money. However, you can enjoy the game free of cost.